Considered by many Chinese to be their greatest poet, Du Fu himself felt overshadowed by Li Bai, his slightly elder colleague, and he failed to receive anywhere near the same recognition for his poetry during his lifetime as did many of his contemporaries. In fact, some of Du Fu’s early poems suggest his discouragement and personal pique at the lack of both professional advancement and artistic acclaim. And whatever discouragements he may have felt early in his career, these woes were greatly compounded later on by the political and social tumult brought by the An Lu Shan rebellion, which tore apart Tang society from 755 to 763. As the long prosperity of the early Tang dynasty devolved into widespread violence and chaos, instead of having a chance at a government sinecure where he could pursue his art in peace and comfort, Du Fu endured wartime privation and forced marches, captivity, long separation from his family, bouts of famine and many similar hardships. His young son starved to death as did countless of his fellow countrymen. But while the rebellion brought great adversity, it also proved to be the source of inspiration for some of Du Fu’s greatest verse. The social collapse transformed his outlook, and endowed him with deep compassion for the suffering he saw all around. 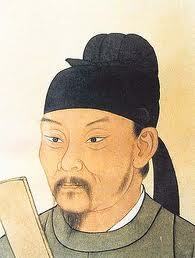 Much more so than the other major Tang poets, many of Du Fu’s later poems reflect a well-developed social conscience. And the occasionally querulous tone of his earlier work matures into a voice that has been informed by a tragic sense of life, which gives many of his poems an uncannily modern sensibility, of a man struggling to express his art in the midst of chaotic surroundings. If you are interested in learning more about Du Fu's life and work, there is a collection of his poems called Du Fu, a life in poetry, which manages to tell the story of the poet's life through excellent translations of his verse by David Young. But for now, here is a small sampling of his poems translated by Lan Hua.